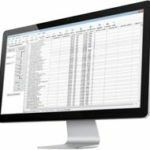 With our wide variety of Neopost mailing systems and MBM Shredders, MCC has the right equipment to simplify your mailroom processes and increase employee efficiency. 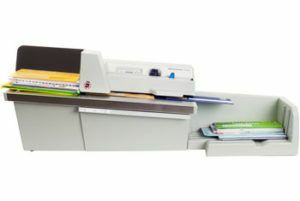 Pitney Bowes tabbing systems offer an inexpensive alternative to envelopes by sealing newsletters, brochures, and documents with adhesive tabs. 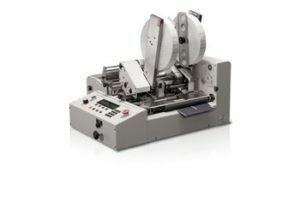 Automatic mail openers are a swift, convenient and secure solution to process incoming mail. Open one, two or three sides of an envelope without presorting, adjustments or waste. Exceptional print quality plus speed translates into your lowest cost-per-piece and fastest ROI for direct mail and trans-promotional marketing printing. 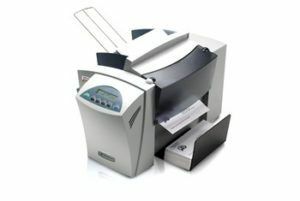 Pitney Bowes offers address label printers and spot color digital envelope printers. 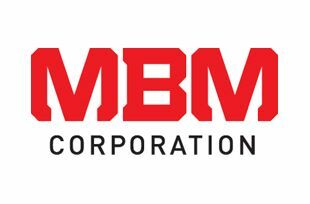 MCC provides a wide range of powerful shredders from MBM that allow you to quickly, efficiently, and securely purge business documents and materials. 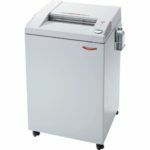 MBM DestroyIt Shredders are "designed for companies that won't settle for anything less than the world's best shredder." 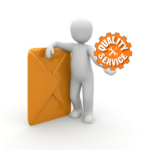 Our factory-trained technicians are devoted to delivering a positive customer experience through prompt, reliable and state-of-the-art service.